Prevention — Your Choice to Live, Inc. It is our mission to provide awareness, prevention education, resources and support to youth, parents, schools and communities in regard to alcohol and drug use. Through these educational and prevention efforts, we will help shape healthy, responsible and successful future generations who are equipped with the necessary resiliency and decision making skills to make good choices in all aspects of their lives. The Youth Presentation targets the middle and high school population of students where preventing early use of drugs or alcohol may go a long way in reducing risk. Stairway to Heroin has evolved into a model program for education, prevention and recovery used in communities and school districts across the state of Wisconsin and in parts of Illinois and Indiana with a mission of making a difference in the lives of families. Playgrounds to Pills: Every day in the United States, 2,500 youth (ages 12-17) abuse a prescription pain reliever for the first time. Why do some adolescents make decisions that lead to risky behaviors such as substance abuse? For some, it may be out of curiosity or peer pressure, but for others it may be a coping mechanism for an underlying issue such as anxiety or depression. Playgrounds to Pills addresses those questions and impresses upon audiences the power of parents in prevention and early intervention. Participants will learn the importance of developing strong relationships with their children as well as strategies for raising reslient children despite the societal pressures placed upon them by technology and media. 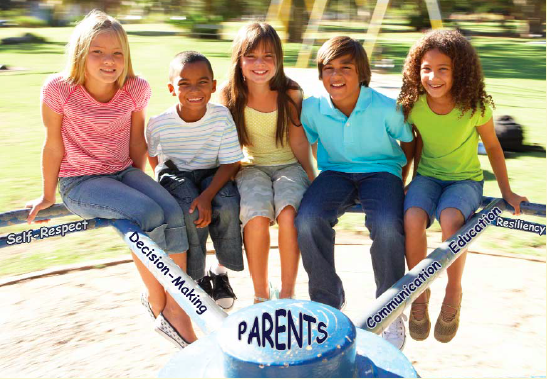 This program targets a younger population, specifically parents of those in 4th-9th grades. Stairway to Heroin: Creating awareness in your community by providing local facts of drug use in your schools and community, detailing the trends of kinds and types of use, providing a medical perspective on use, hearing personal testimonies from families who have experienced the devastation associated with drug abuse and addiction, and learning about hope and recovery. Wake Up Call: This is a life-sized exhibit of a teen’s bedroom with more than 20 “red flags” that can signal drug or alcohol use. The bedroom identifies spots where teens may hide drugs, household items that can be used as drug paraphernalia and ways teens try to cover up drug and alcohol use. It is important for parents to know what to look for in their own homes before alcohol and drug use escalates to other risky behaviors or addiction.